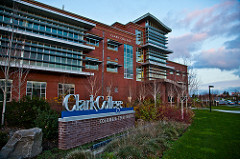 Clark College has locations throughout Clark County that offer classes and limited support services. Student and visitor parking at the main campus does not require a permit. Students may park in unmarked spaces. Spaces marked “F/S” are reserved for faculty and staff with permits. (They are open to the public from 5:30 p.m. – 10:00 p.m.) Complete parking regulations are available at the Security Office located in Gaiser Hall. 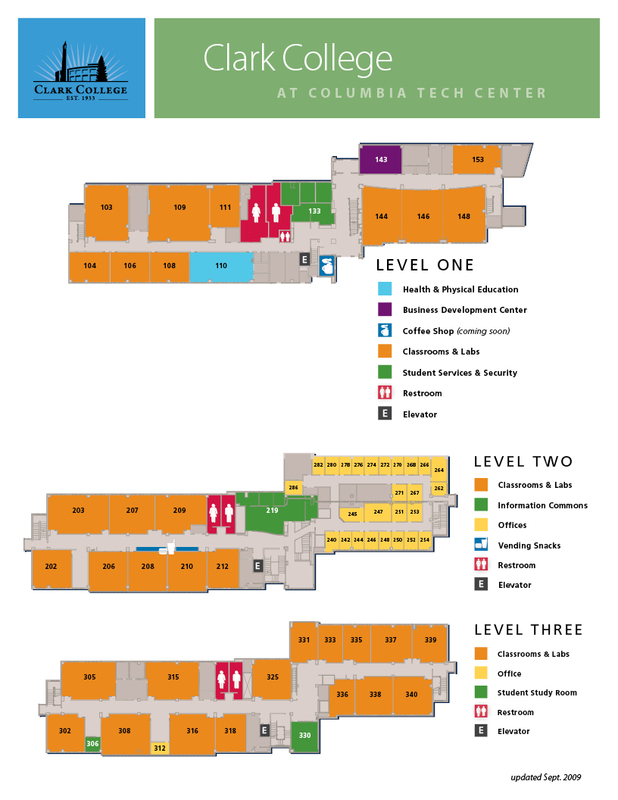 Ample parking is also available at Clark College at Columbia Tech Center. Parking at off-campus sites, including WSU Vancouver, is administered by the operators of those facilities. A helpful reminder: The first few weeks of each quarter are particularly busy. Students, especially new students, are encouraged to arrive early to ensure that they have time to park and get to class. The Red and Green lots are typically filled by 9:00 a.m. Students are encouraged to find parking in other lots, particularly Yellow 1, Yellow 2 and the Silver lots. C-TRAN service is available to our main campus, Clark College at Columbia Tech Center, Clark College at WSU Vancouver, and the downtown Economic & Community Development offices. Clark College students may purchase a C-TRAN bus pass endorsement with their student ID card at a special rate. This BackPASS endorsement provides reduced cost bus transportation throughout Clark County. 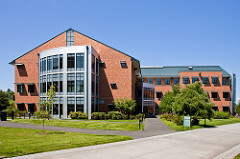 Passes are sold through the Clark College Bookstore. 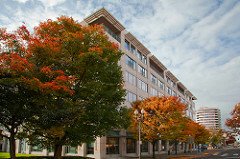 For information on C-VAN service, call 360-695-8918. Information about TriMet (Portland transit) is available at trimet.org. Six student carpool spots are available, Monday through Friday from 6 a.m. to 5 p.m. in Red Parking Lot #2. Carpools must include two or more people. There is no cost to acquire a carpool parking tag, but students must register at the Security Office in Gaiser Hall and all of the students participating in the carpool must be present to register. Carpool parking spaces will be available on a first-come, first-served basis.